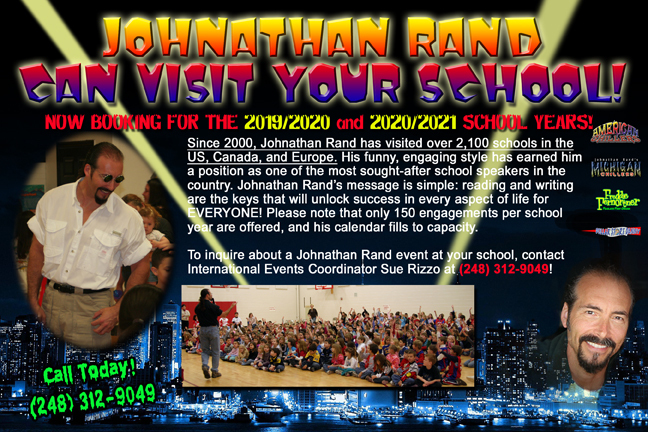 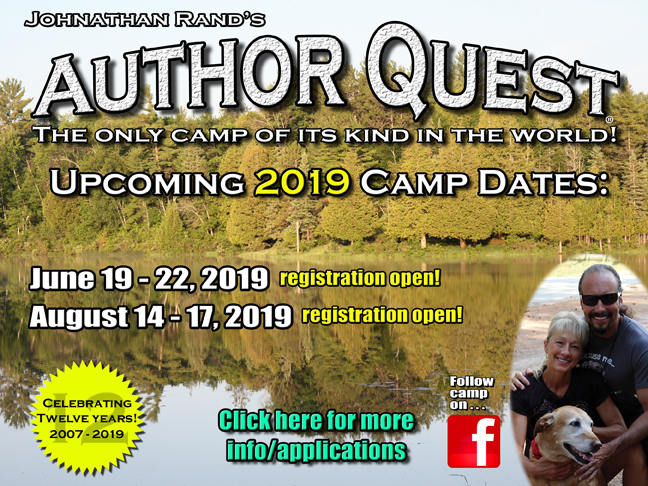 Stay up to date with Johnathan Rand! 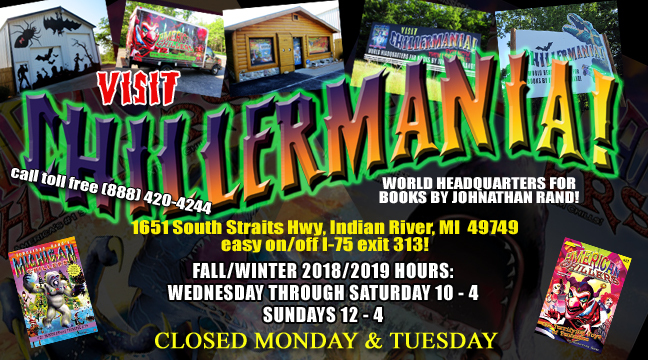 Visit Chillermania in Indian River, Michigan! 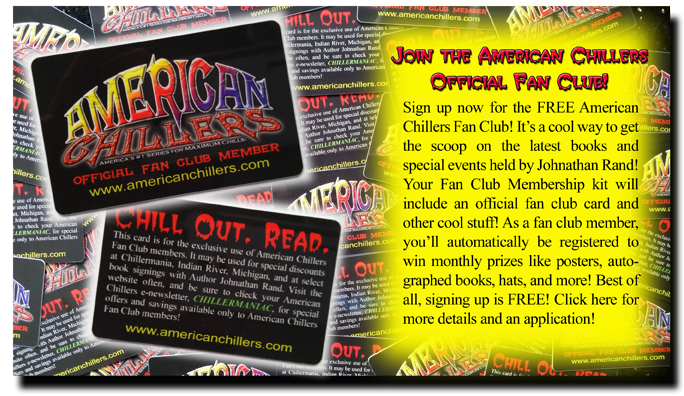 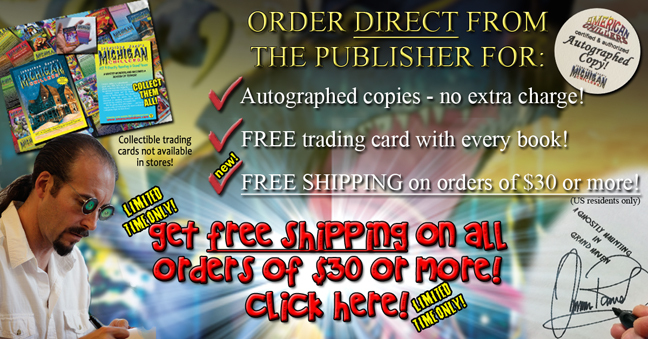 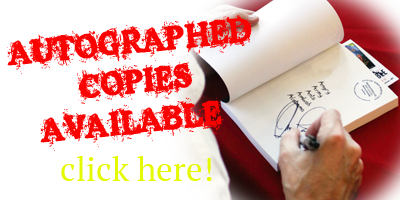 Featuring: Books, hats, shirts, bookmarks and items not available anywhere else in the world! 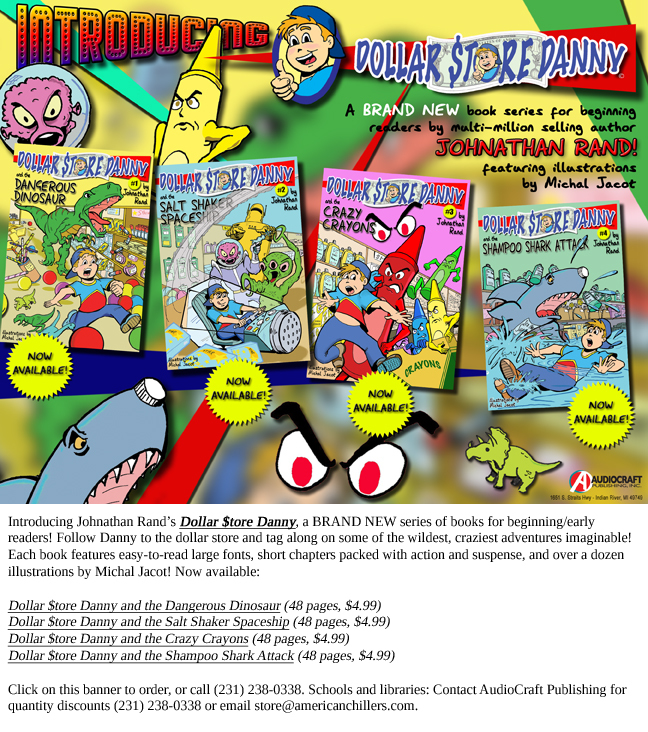 Read Sample Chapters of all Johnathan Rands books for free!